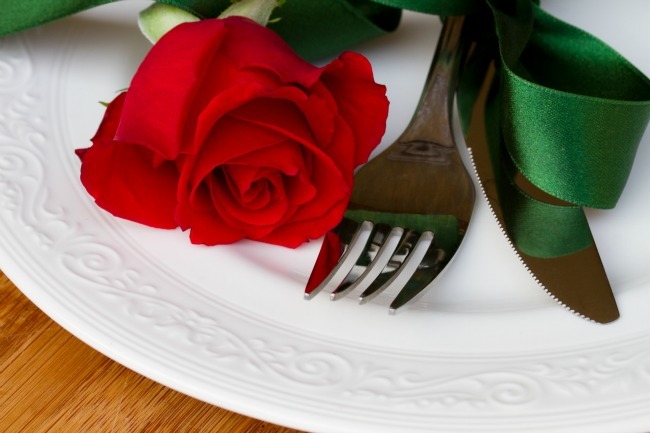 Planning a romantic Valentine’s Dinner at home? Or a picnic on the beach? 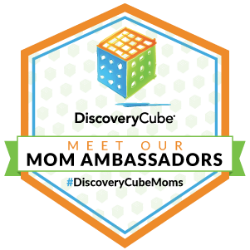 Want to make it incredibly special, but don’t know where to start? Whole Foods Market in Huntington Beach is helping families to create a perfect Valentine’s Day meal with their high quality offerings. 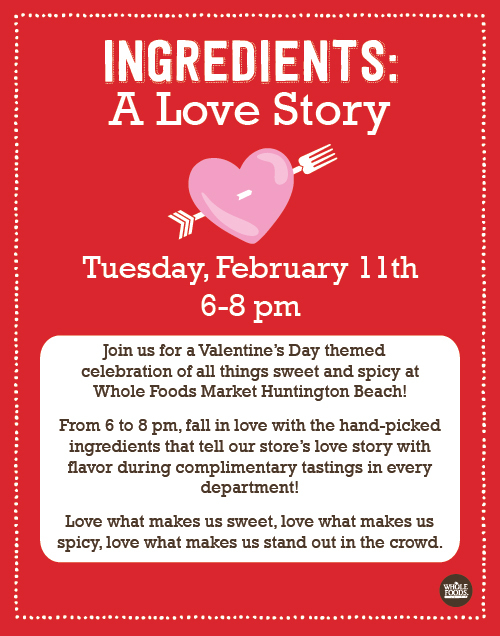 You are invited to a complimentary Valentine’s Day tasting at the Whole Foods Market of Huntington Beach on February 11th from 6pm to 8pm. If you are planning your own Valentine’s Day meal this year, Whole Foods Market will make it easy for you at their complimentary tasting event. Every Friday in February, Whole Foods Market Huntington Beach is featuring live jazz in its 24 tap craft beer bar, Woody’s Surf City Grill. 6-9 pm. Saturday, February 22nd, join Edzon and his Seafood Team as they fillet whole fresh fish to order. As always, we cook, we clean, we do it for free! 12-4 pm. My wonderful wife of 15 years! I will cook it for my hubby and boys. I am cooking for my hubby and 2 daughters! My sweeties. My sweet hubby and 2 awesome kiddos! My wonderful hubby and lovely kids. Amazing Husband and my sweet boy. I’m cooking for kids and hubby. I am cooking for hubby. I’m cooking for my hubby & my kids! I will be cooking London Broil for my husband and son! I’m going to cook for my family. Valentine’s fondue night is a family tradition! My husband and a little cow.